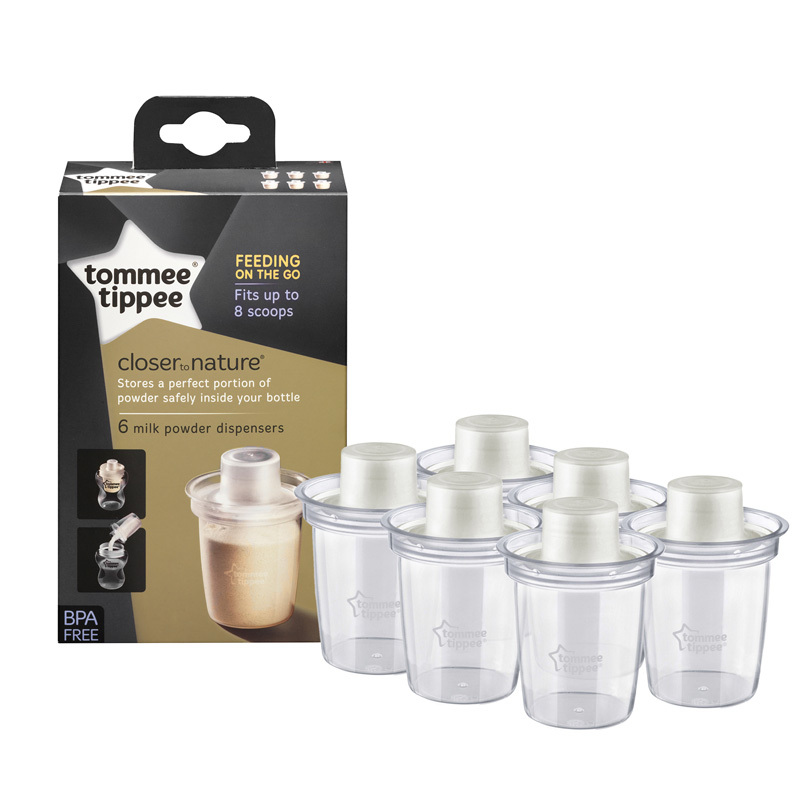 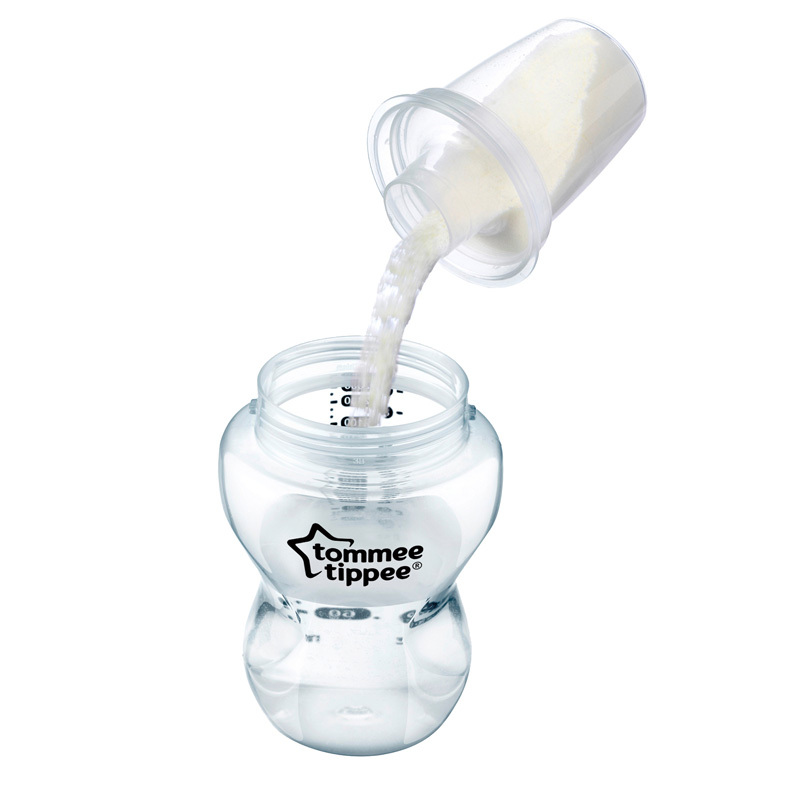 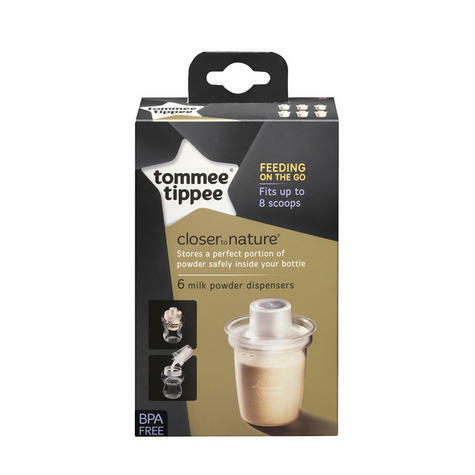 Tommee Tippee closer to nature milk powder dispensers fit neatly inside closer to nature 9oz bottles for convenient mixing and feeding any time. 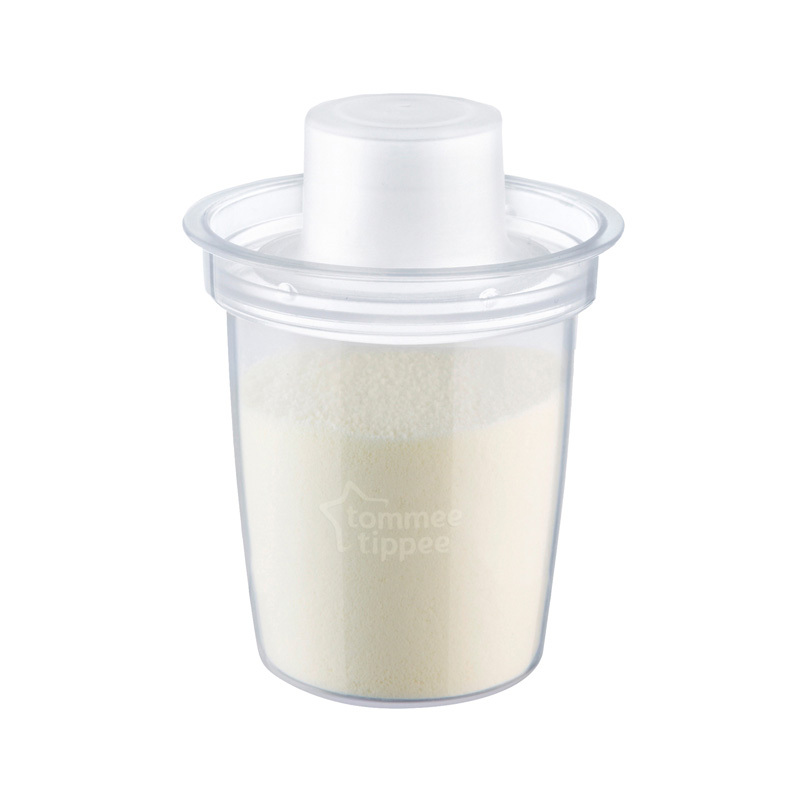 The dispenser can hold up to 8 scoops of dry milk powder in advance, and then make up the bottle as needed. The powder dispenser fits right inside a 9oz/260ml bottle to save space and protects up to 8 scoops of powder. Pre-measure Formula - The milk powder dispenser can protect up to 8 scoops of formula at one time. 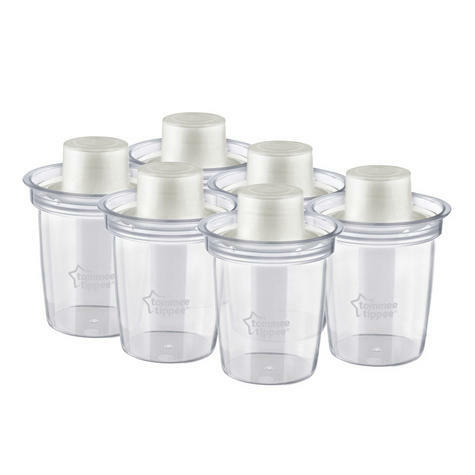 Step 1 – Fill one sterilised bottle with freshly boiled and cooler water. Step 3 Mix a fresh bottle on demand. 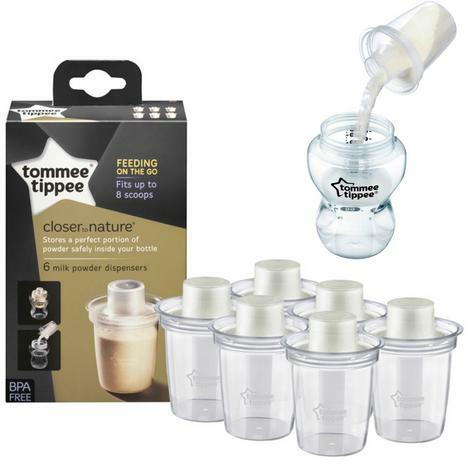 Fully compatible range - The closer to nature breastfeeding range is an interchangeable system of breast pumps, storage containers and feeding equipment. 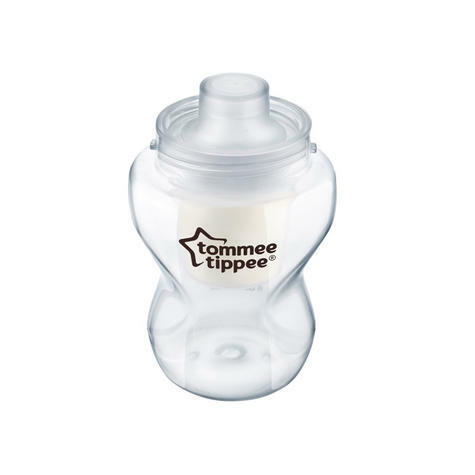 Our bottles connect directly onto our breast pumps allowing you to express straight into the bottles making the process as simple as can be. All our pumps and bottles can be placed into our sterilisers and bottle warmers offering parents everything they need to feed a newborn.